My darling brother John Mark make this for us on New Years Day. It’s delicious. 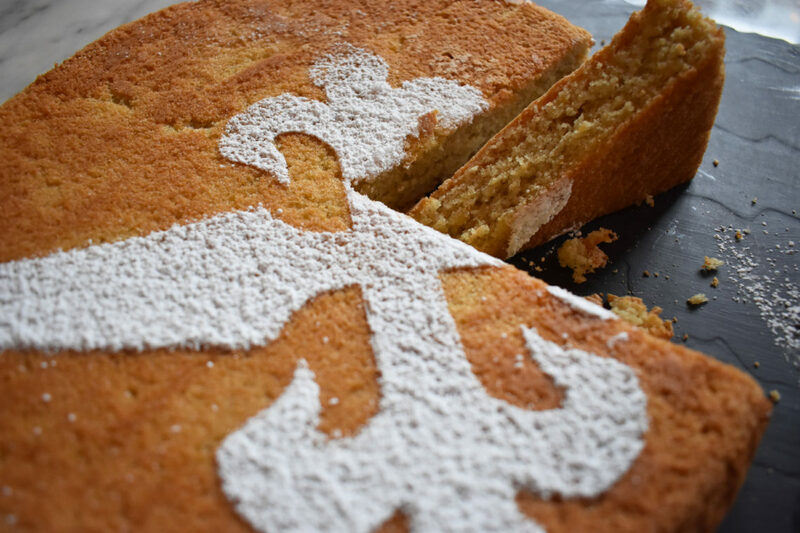 This traditional pilgrimage cake from northern Spain is traditionally decorated with a St James Cross. It’s fat free, reliable, never lets you down and very stylish. A bit like my lovely brother actually!